47 Meters Down - Blu-ray Review - ReDVDit! 47 Meters Down is a 2017 British survival horror film that was directed by Johannes Roberts, written by Roberts and Ernest Riera, and stars ClaireHolt and Mandy Moore. 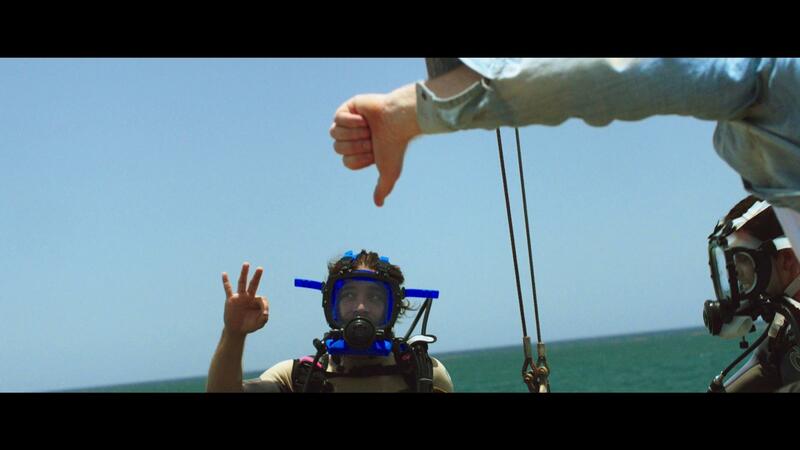 The plot follows two sisters who go on holiday in Mexico, and are invited to cage dive to see the sharks up close. When the cable holding the cage breaks and it plummets to the ocean floor with the two girls trapped inside, they must find a way to escape, with their air supplies running low and a crowd of great white sharks stalking nearby. It was released in the United States on June 16, 2017 and in the United Kingdom on July 26, 2017. Overall, the film received mixed reviews from critics, but was a box office success as it ended up grossing over $61 million worldwide against its operating budget of $5.5 million. On September 8, 2017, it was announced that production studio, The Fyzz Facility, is working on a sequel titled 48 Meters Down. Roberts, Riera, and Harris will both return as director/writer, co-writer, and producer respectively. The sequel will take place in Brazil and center around a group of young women who decide to explore some hidden underwater ruins that are located off-the-beaten trail. Production will be overseen by Altitude Films, with potential buyers currently being sought in Toronto. Entertainment Studios will once again handle the distribution for the film, with a planned release of June 28, 2019. 47 Meters Down is a movie that really tries its best to fit in with the other larger budget movies. 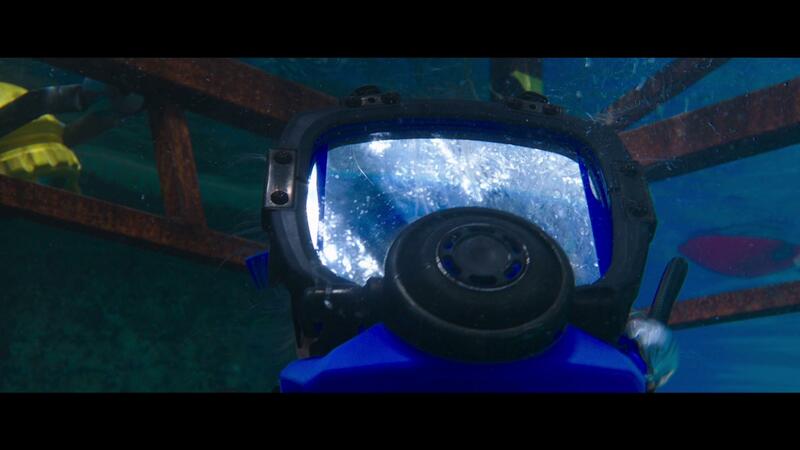 Basically, taking the concept that we’ve seen in the 2003 film Open Water, and putting it all underwater through one of those diver cages. Overall, the movie made for a decent time as background noise as I worked on some of my other projects, mostly because the story isn’t anything of notable mention. The performances of both Mandy Moore and Claire Holt were pretty good, considering the majority of their presence were behind scuba masks, and as the movie progressed, the tense moments did a decent job at conveying the overall amount of stress that the characters were experiencing as they run the risk of losing oxygen. Overall, 47 Meters Down looked pretty good as it played out across my living room television. 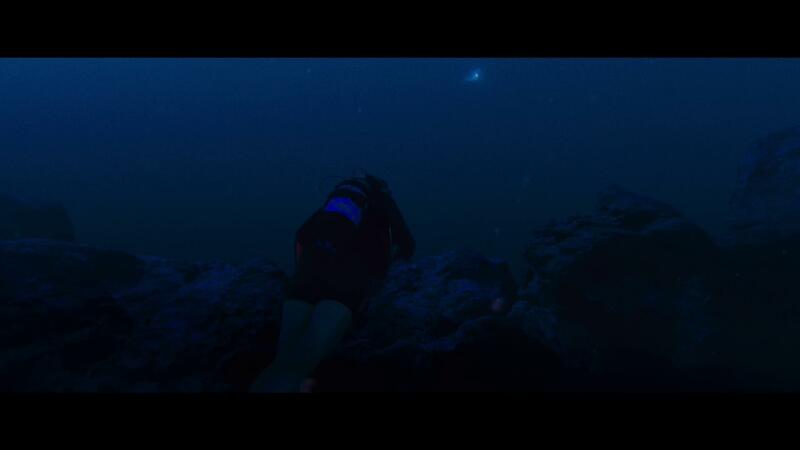 Mostly because the film takes place under water, there were some scenes that were rather difficult to visually see everything due to the lack of ambient lighting in the background. The shots that were done closer to the cage looked clear and allowed for a really detailed look at the shark. Other than that, the Blu-ray release does offer some really beautiful Caribbean scenery and does a really great job at not completely over doing it with the blood as the various characters incur even the smallest of cuts or injuries. 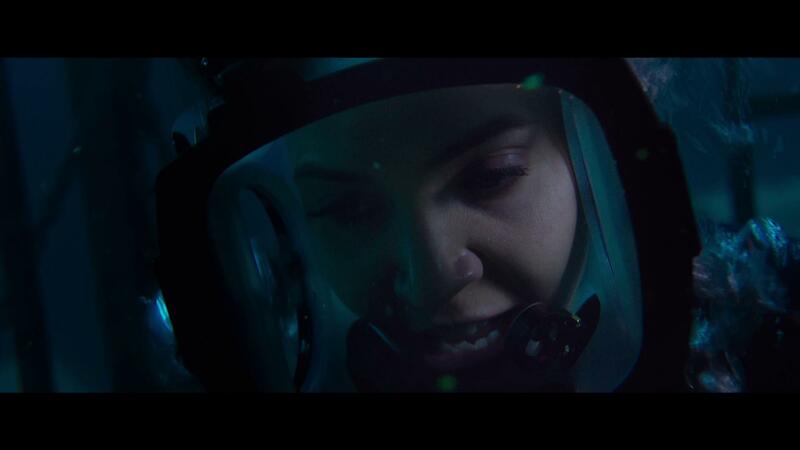 Packaged with an English DTS-HD Master Audio track, 47 Meters Down really tries hard to offer an immersive experience for its viewers. Offering some significantly powerful sound from the fronts, the rears and the subwoofer, the audio that was provided was clean and easily understandable without having to manually adjust the volume levels. It does a decent job with making use of the camera position and transitioning the audio to the different channels as the camera moves. However, the audio track does not really do that great in terms of immersion and would have done a much, much better job had they chosen to go with a 7.1 audio track for this movie. 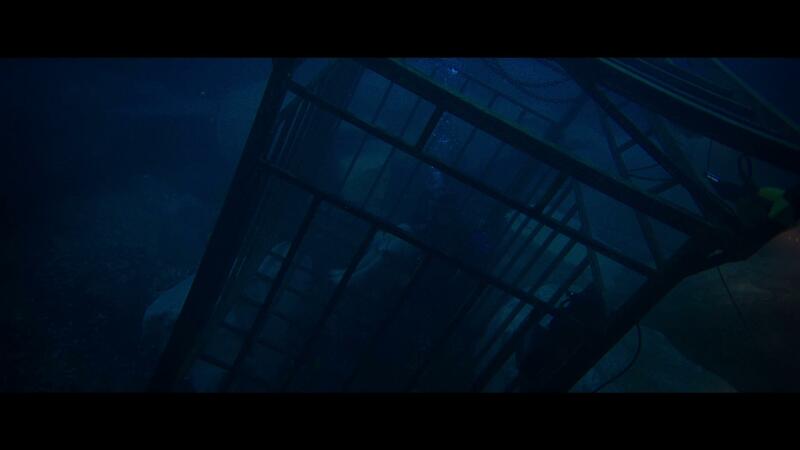 Including the use of the surround channels would have done better with the under water elements as the variety of fishes and sharks would swim past the cage and do a better job at placing its viewers right there in the cage with the main characters. One part that was decently noteworthy was that of the more strenuous times to help emphasize the impact of that particular sequence was the powerful boom that came out of the subwoofer. If you aren’t really paying attention to the movie, when these particular scenes play out, it does a really great job at grabbing your attention there. 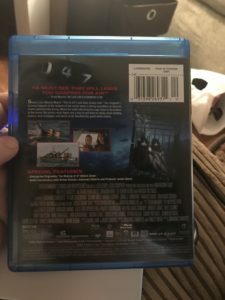 47 Meters Down comes packaged in your standard two-disc Blu-ray amaray case. Within that case is the standard Blu-ray copy of the film as well as the standard DVD copy of the film. Both discs, feature the same piece of artwork that’s been provided on the case; but, cut to show only the shark. A digital copy redemption pamphlet is also included for streaming options, as well as a slipcover that features the same exact piece of art that’s made available on the case art. 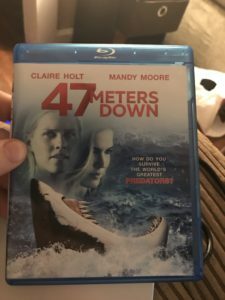 My personal copy does not include a slipcover because I purchased my copy of 47 Meters Down secondhand from my local Family Video. Overall 47 Meters Down wasn’t horrible. I mean, the story itself was kind of flat and extremely predictable; allowing for this movie to fall right in line with a lot of B-movies. The presentation of the more strenuous scenes were executed very well and allows for audiences to almost feel similar emotions to that of the two lead characters. The visual and audible presentation were clean and completely understandable as the movie progresses; but, really could have been a lot better in terms of quality and audience immersion. The special features included do a nice job at allowing audiences to see some of the behind the scenes work, but nothing really exploring the story further. I’m genuinely curious as to exactly what they’re going to do with the announced 48 Meters Down, but I know that’ll be something that I’ll probably pick up second hand at some point should it come out. 47 Meters Down is available on Blu-ray and DVD.